Happy Spring salutations to our friends of the farm. We are busy expanding our trellis and planting planting planting! 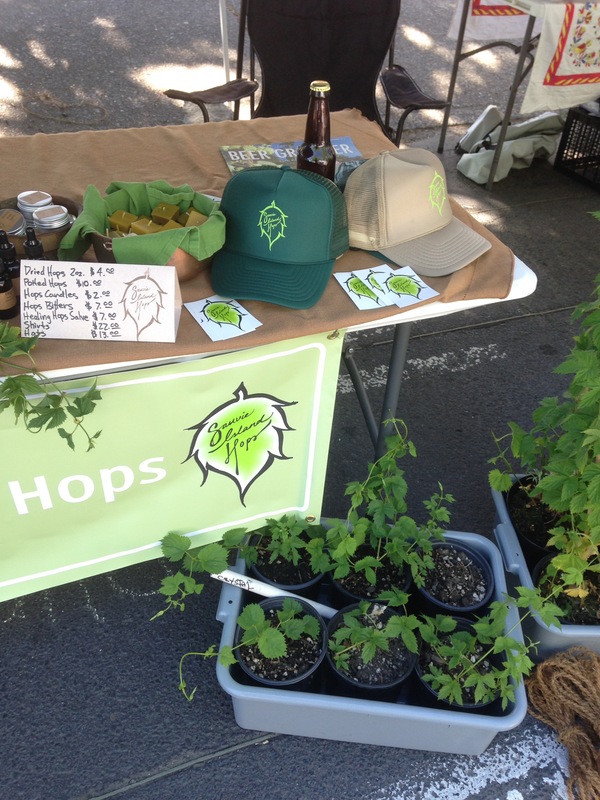 We have rhizomes, potted hops plants and mature hops crowns available for your home gardening endeavors. Grown your own beer! Shade that back patio with luscious green hops leaves! Reach out through the contact page and let us hop up your life!! Cheers! We’ll have all the seasons trimmings for the hop enthusiasts! 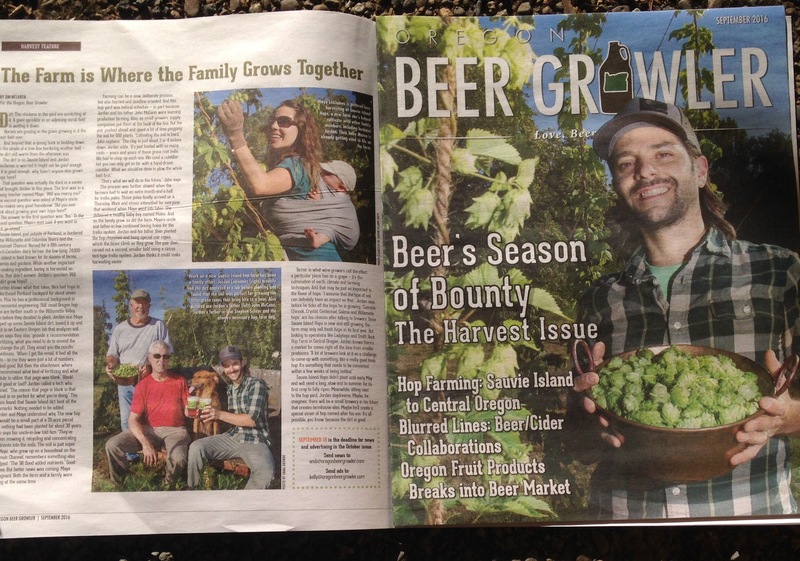 Prime time to start your home grown beer garden. Hops rhizomes and plants, soil ready and rearing to T H R I V E! Come say HI and buy our handsome tshirts and hats. Support your local farmers and go home happy!!! H O P S Plants and Rhizomes!!! 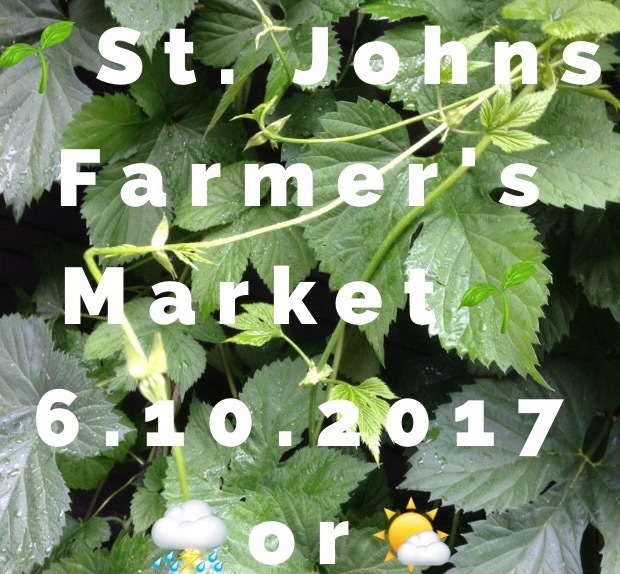 We had a fantastic time at the St. Johns Farmer’s Market last Saturday, especially spreading the love of hops to home gardeners and brewers. Join the fun! Grow your own beer! 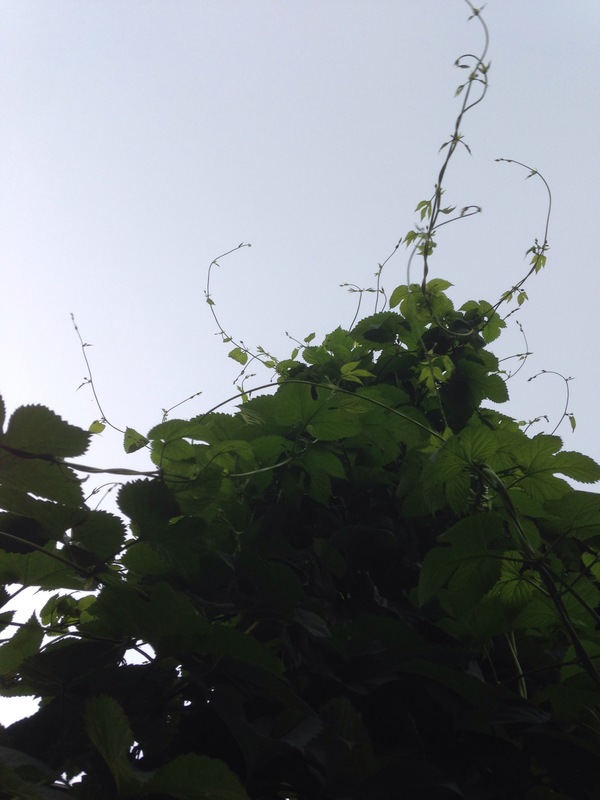 Create a stunning shade canopy for your backyard garden.Sauvie Island Hops has Cascade, Chinook, Crystal, Centennial and Galena hops plants and rhizomes avail NOW! The potted plants have been thriving for a couple months and are ready to plant. $10/ea. Will consider bulk discounts and delivery in the Portland area. This was a surprise from the start. We’re grateful for the press and optimistic about our future! LOTS more to come. Cheers! Hey homebrewers! 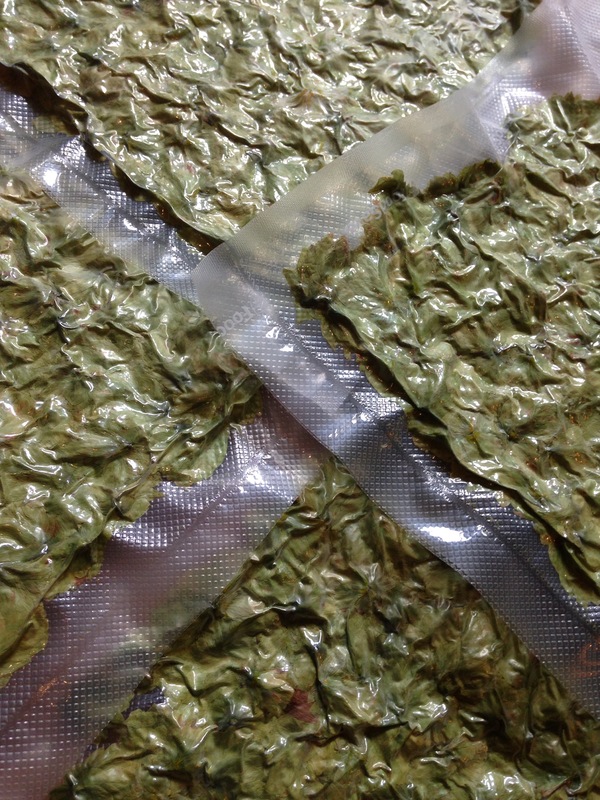 We’ve dilligently dried and vacuum-sealed our hops in 2oz. quantities for your next batch. Contact us to order. 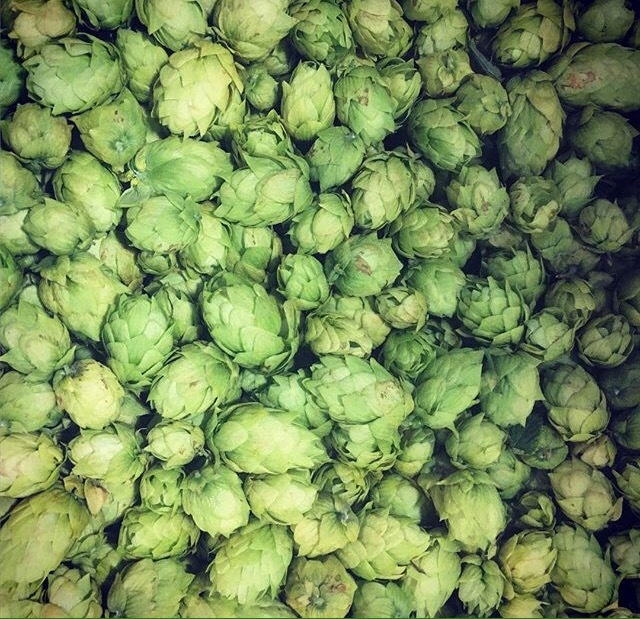 We’ve got outstandingly aromatic, Portland-local, organically grown fresh hops from the idyllic Sauvie Island soils. Our Columbia River fluvial deposits offer a unique terroir not found on any other farm. Get in touch and let’s make stellar beer! 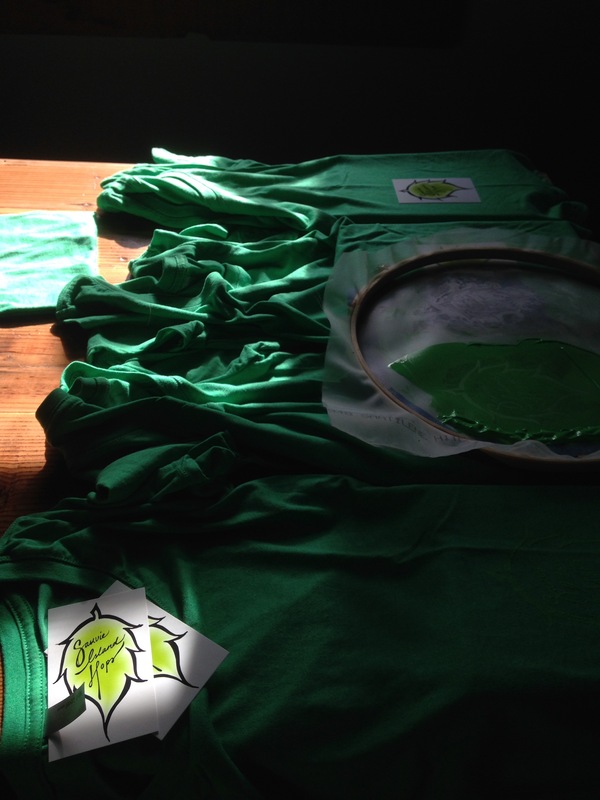 We made our own screens and are hand printing Sauvie Island Hopst-shirts. $22 S&H included. We’ll even throw in a few stickers! 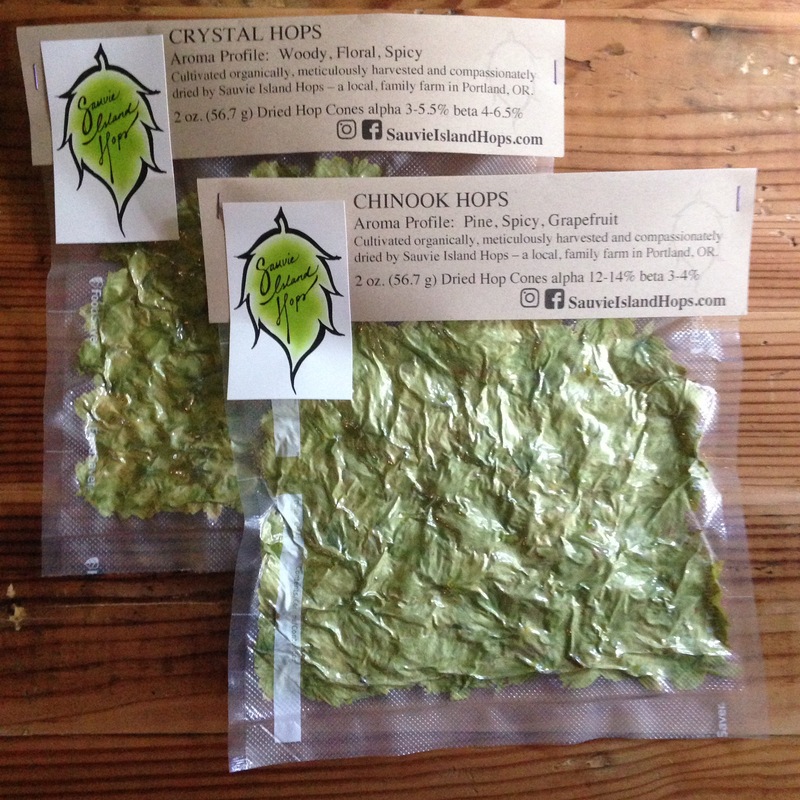 Support Sauvie Hops! !